What Makes Some Things Fade Fast, and Others Stand the Test of Time? Posted byDr Damon Ashworth September 26, 2018 September 27, 2018 Posted inDeliberately BetterTags: books, growth, Insights, intelligence, life, mental health, movies, Psychology, relationships, Self-help, self-improvement, strategies, success, treatment10 Comments on What Makes Some Things Fade Fast, and Others Stand the Test of Time? It’s Okay to Still Fall into Life Traps… We All Do! Posted byDr Damon Ashworth September 19, 2018 September 20, 2018 Posted inDeliberately BetterTags: challenges, Depression, emotions, growth, Happiness, Insights, intelligence, life, mental health, Psychology, relationships, Self-help, self-improvement, strategies, success, therapy, treatment, treatments17 Comments on It’s Okay to Still Fall into Life Traps… We All Do! Posted byDr Damon Ashworth September 16, 2018 September 17, 2018 Posted inDeliberately BetterTags: challenges, emotions, growth, Happiness, Insights, intelligence, life, mental health, Psychology, Self-help, self-improvement, strategies, success28 Comments on Change is Possible (and Inevitable)! 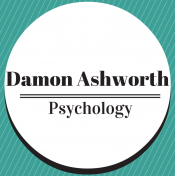 Posted byDr Damon Ashworth August 3, 2018 August 3, 2018 Posted inDeliberately BetterTags: challenges, character development, emotions, growth, Happiness, Insights, intelligence, life, mental health, Psychology, Self-help, self-improvement, strategies, success16 Comments on How Much Could You Change Your Personality in a Year? Can Your Personality Type Change Across Time? Posted byDr Damon Ashworth August 1, 2018 August 1, 2018 Posted inhealth & wellnessTags: challenges, character development, emotions, growth, Insights, intelligence, life, mental health, Psychology, quotes, Self-help, strategies16 Comments on Can Your Personality Type Change Across Time?